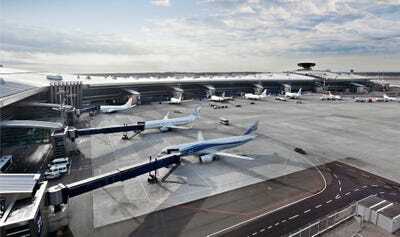 The single-aisle airliner market is getting more and more crowded. 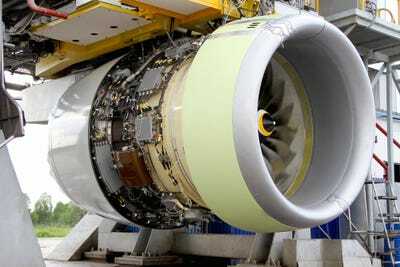 Although the Boeing 737MAX and the Airbus A320neo are by far the most dominant offerings in the segment, a host of new competitors have thrown their hats into the ring in the past year. 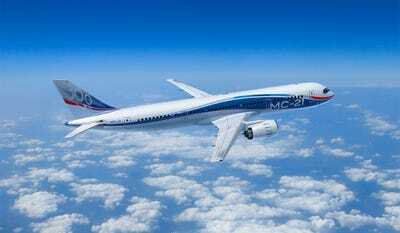 Now’s Russia’s United Aircraft Corporation has introduced its new entrant in the segment — the Irkut MC-21. The MC-21 has been teased for several years. 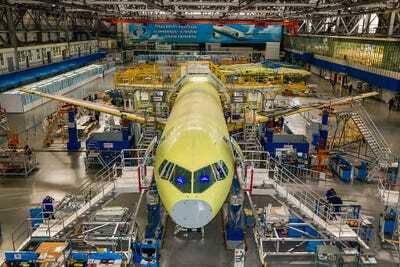 On Wednesday, UAC finally unveiled the production variant of the airliner in a ceremony at the plane’s Irkutsk factory. The event was attended by such dignitaries as Russian Prime Minister Dimitriy Medvedev. In addition to the Russians, China’s COMAC has rolled out the C919; Brazil’s Embraer has introduced the E-Jet E2; Japan’s Mitsubishi introduced their new Regional Jet; and Canada’s Bombardier C-Series is set to enter service in July. United Aircraft Corporation was formed 2006 and is aimed to increase the competitiveness of Russia’s aviation industry internationally. The company comprises some of the great names in Russian aviation including MIG, Sukhoi, Ilyushin, Yakolev, and Tupolev. 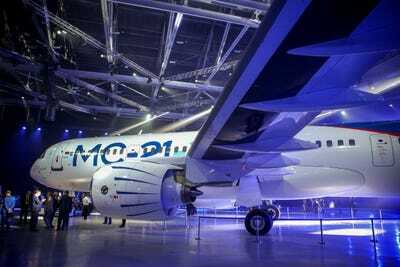 Irkut is a lesser known member of the company, but with the introduction of the MC-21, it’s set to make a name for itself on the global stage. 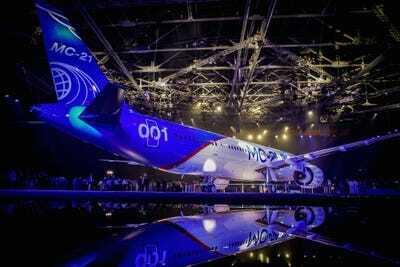 The Irkut MC-21 is the first built-from-scratch Russian airliner to enter the medium-haul market in more than 20 years. 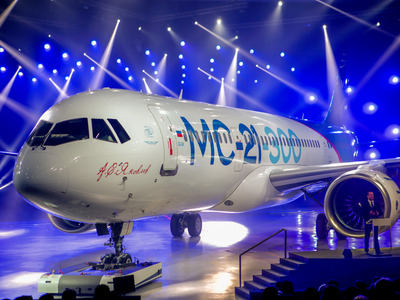 So far, Irkut has 175 firm orders for the MC-21. 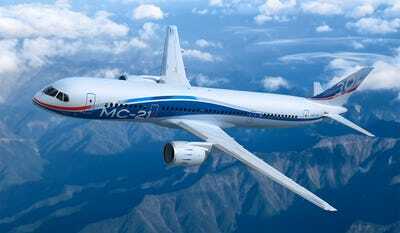 The MC-21will be available in two versions. 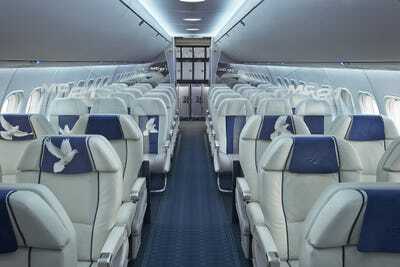 The jet will debut with the MC-21-300, which can carry up to 211 passengers. 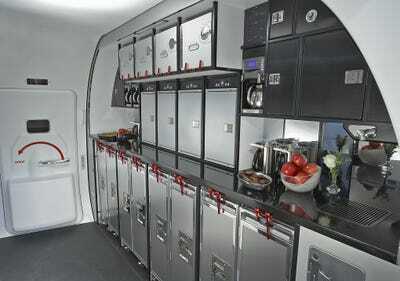 A smaller, 165-seat MC-21-200 will also be available. 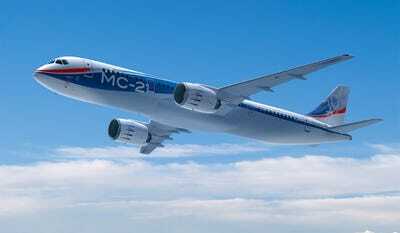 MC-21 customers will have choice of two different engines. 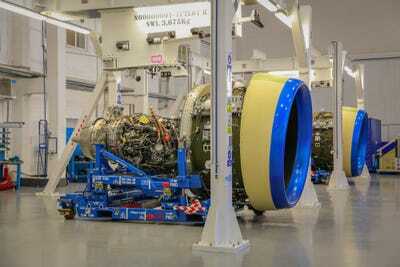 The first is the Pratt & Whitney PW 1400G. 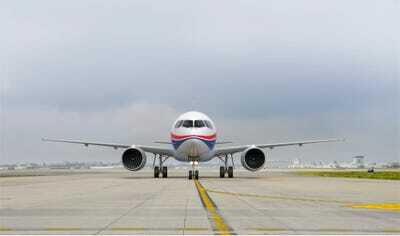 It features state-of-the-art, fuel-saving, geared-turbofan technology. Also available is the Russian Aviadvigatel PD-14 turbofan. 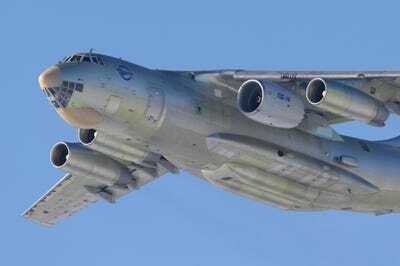 Here's the PD-14 mounted under the wing of an Ilyushin Il-76 test plane. 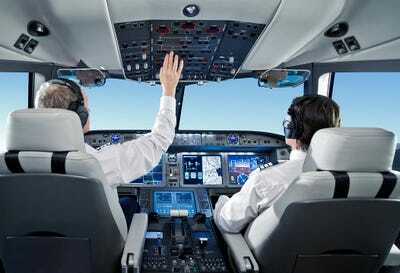 Up front, the MC-21 features a modern, glass cockpit, featuring side stick technology. 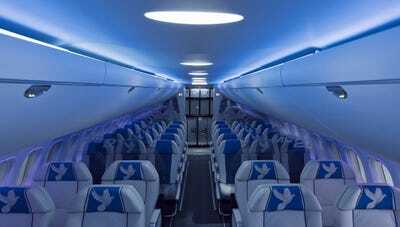 The aircraft also features an array of lightweight materials including carbon-fibre-reinforced plastic, as well as fibreglass-composite body panels. 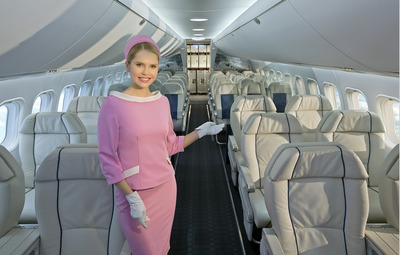 Irkut has been keen to remind the public that its plane has a wider cabin than its competitors. 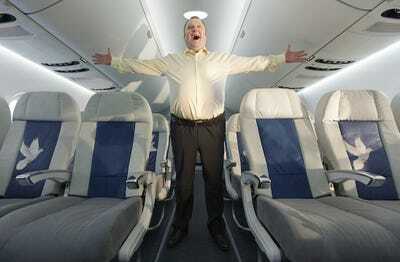 And four-abreast seating in business class. Mood lighting is present as well. 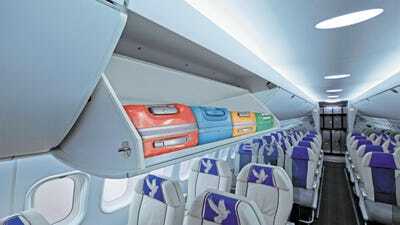 Irkut claims the pivot-type overhead bins speed up the deplaning process. 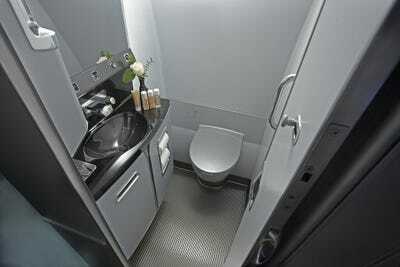 The large lavatories are optimised to speed up cleaning. 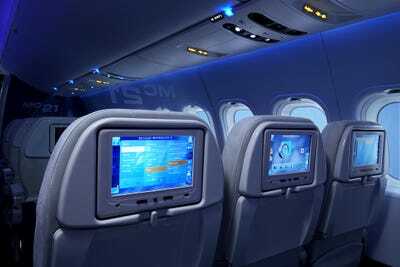 There's a seatback entertainment system to keep passengers occupied. 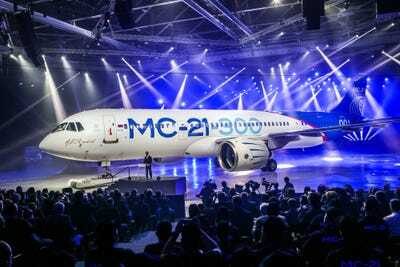 According to Irkut, the MC-21 is expected to speed up the time it takes an airline to turnaround a plane for flight by 20%. 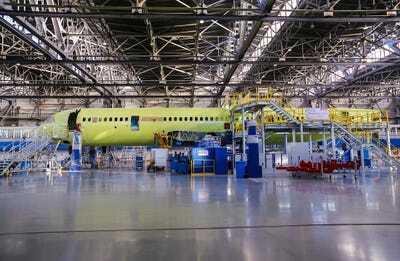 The aircraft is currently in production at the Irkutsk Factory. 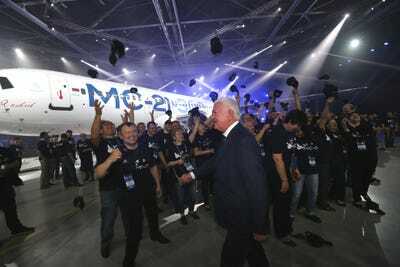 The MC-21 isn't expected to enter service until 2020. 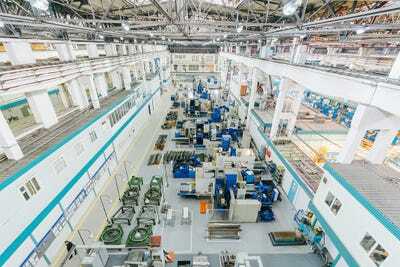 Irkut is pitching its new plane to prospective buyers for a variety of applications, ranging from scheduled airline service to private jet duty.